White noise is a specially crafted sound byte, which is used to drown out all background noises. It works by restoring a sound equilibrium, which means that it will help reduce them amount of noise around you that grabs your attention, and steals your sleep! Noises that commonly prevent you from falling asleep, or that cause you to wake up in the night are masked by a calming background shhhhhhh. Sounds that commonly annoy us including tinnitus, disappear from our hearing, resulting in a long, restful sleep. 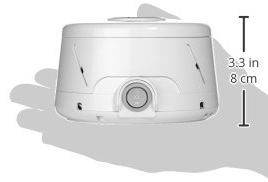 The Marpac Dohm DS, known as the best white noise machine since 1962, (that’s a long time in business in anyones eyes – so they must be doing something right!) is a dual speed sound machine that generates soothing white noise and masks unwanted sounds to create a sense of calm and relaxation. 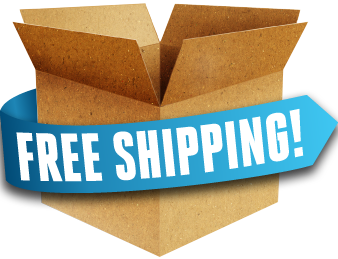 Many people, young and old, have been using & recommending the Marpac White Noise Machine to achieve a better, more restful night’s sleep for many years. White noise sounds like rushing air and is perfect for adults, children, and babies who are having trouble sleeping. Continuous white noise machines are also commonly used in office environments to mask out distracting sounds, improve concentration, and increase privacy. The Dohm has evolved over the years to make it the world leader in personal white noise machines & features two power levels as well as the ability to adjust the tone and volume of the white noise generator. A lot of sound machines use short “loops” that simply repeat the same sound over and over. Playing these small bursts of sound can often be quite annoying over a period of time. This can often result in creating more anxiety rather than relaxation! 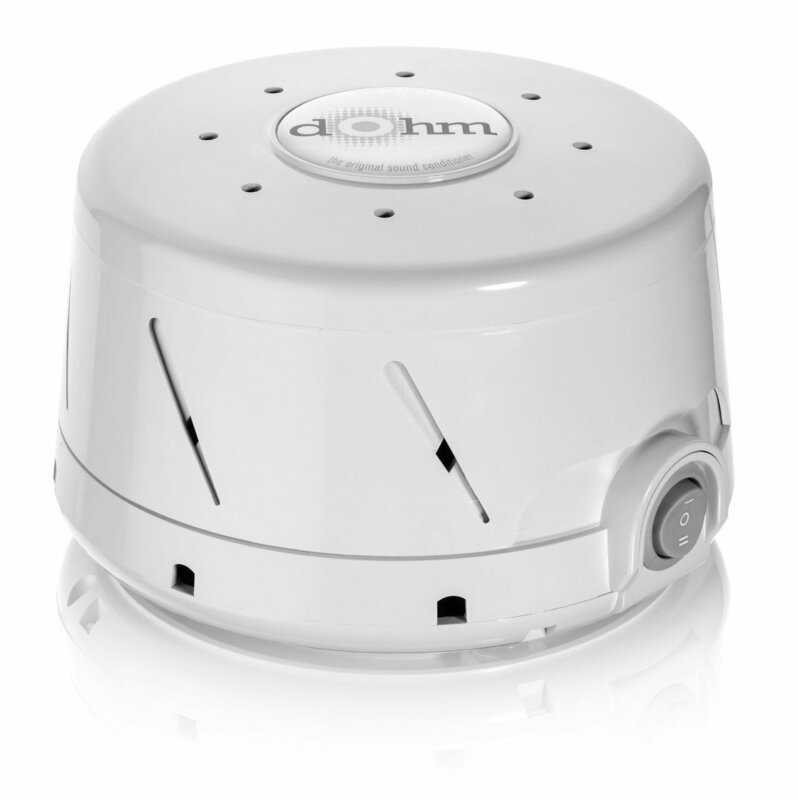 The Dohm DS uses natural white noise machine as it contains an actual fan inside. 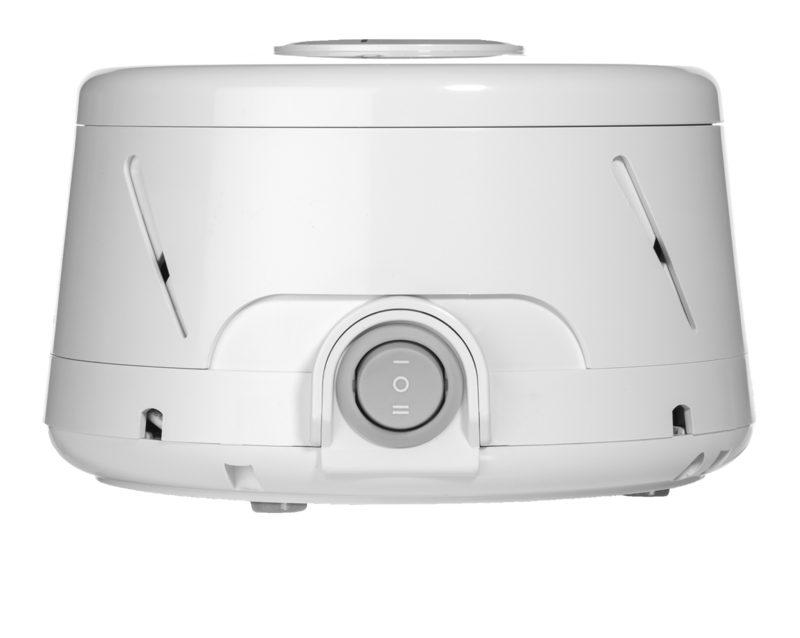 The Marpac White Noise Machine is unlike mp3 downloads, CD’s or smart phone aps in that it does not use loops or artificial white noise. In a nutshell, white noise is a unique type of signal that is used to mask background sounds. White noise provides a soothing, calm sound that helps to obscure unwanted sounds and is commonly used to encourage healthy sleep. If noise hinders you from achieving a good night sleep or triggers you to wake up whilst already asleep, white noise can be particularly beneficial. Sound machines are valuable whether you need help drifting off to sleep or to assist staying asleep. The idea of adding more noise to your sleeping environment to promote sleep may sound counter productive, but it works. White noise blends the external sounds (barking dog,traffic etc) into the overall background noise, so your brain pays less attention. Neuroscientist Seth S. Horowitz, believes that our hearing has evolved as an alarm system, and continues to work even when we are asleep. Most people become conditioned to most background sounds unless they are highlighted on our rational radar as needing attention. With some people it is not necessarily the volume of noise that that keeps us awake but the context of the sound. This is why some people can easily fall asleep in the middle of a crowded club. I am not one of those people! Similarly, a dog barking in the distance can cause a person to startle in their sleep. Sound masking is achieved when you disguise the noise, by adding white noise to your bedroom to ‘mask’ the frequencies of the white noise signal. Another analogy of this, again using light… Picture yourself in a dark room where there is no light, now imagine that a torch is being shone on your face. What happens? You notice the light immediately right? However, if you were already in a well it room, the light of the torch would go unnoticed because the bright lights, already in the room, would be masking it. People not only use white noise to aid them in achieving a more restful sleep but to help with concentration during the day, especially those in the autism spectrum or with ADD/ADHD syndromes. What About Music to Aid in Sleep? Extensive research has been carried out to ascertain the effectiveness of music improving quality of sleep. Music has been shown to be successful in improving quality of sleep. However, studies have proven that music can stimulate emotional reactions in a person. These responses, associations and memories can actually hinder rather than promote efforts to sleep. A wide range of frequencies of sound is required to mask unwanted noise. Music does not contain the range required to do so. As such it has been concluded that music is generally more suited for rest and relaxation rather than as a means to ‘block out’ other sounds to achieve a restful sleep. While turning on a fan or keeping the air conditioner running can produce a constant “hum”, these devices typically produce sound in a repeated pattern, which is distracting in itself. Plus, a ceiling fan or air conditioner does not mask out unwanted noises from neighbours or the street. A white noise machine is a much more effective alternative and provides the perfect background noise for sleep. The Dohm, formerly known as the Sleepmate sound machine, is a small, lightweight and portable white noise machine, which makes it the perfect travel companion. You can easily take it with you to create a calming and peaceful environment. Commonly used for office privacy and sound masking of conversations in adjacent rooms. If you do not want someone to hear conversations inside a room, you simply place it directly outside the room so people will hear the white noise, not the conversation. Unlike digitally created white noise makers, the Dohm DS produces a natural white noise, the most popular white maker that produces a singular sound of rushing air. Many a parents sanity (& sleep) has been saved simply because of white noise machines for babies. White sound machines produce a calming effect on babies. Have you ever found the sound of the vacuum, hair dryer or washing machine has a calming effect on your baby, especially if they are unsettled? Ever wondered why? Babies are used to muffled noise in the womb, when they are born into the world it is a huge audiological adjustment. Wombs are noisy little homes and newborns are used to sounds, they are easily startled by sudden loud changes in noise become startled them from their sleep. The Dohm-DS operates at 60 dB, the same volume as normal conversation, making it an extremely safe, natural and effective sleep aid that is not in any way damaging to hearing. If you work in an office, especially in a cubicle, you knowhow distracting office chatter can be. It’s hard to keep your personal telephone conversations private. No more… Our sound conditioners turn cubes into private offices with just one click. Marpac sleep machines bring smiles to many people ranging from new mums discovering the benefits of sound conditioners for babies the first time to customers who’ve been using the same Marpac machine for 55 years. Dohm DS white noise machines mask all kinds of noises, from sirens on city streets to confidential conversations in quiet offices. Shift Workers turn day to night. Even if you work from 5pm-9am, you can sleep soundly when you get home. Now you can control your sleep schedule, your sound environment, your job stress and your sanity. Be careful of imported products as they do not have the relevant, required power requirements and plug required for Australian general purpose outlets. Be cautious of all other models for sale online. POWER CORD: 2.4m long cord with Australian/NZ 240V AC plug. I have a new baby & a friend told us about this product that they had bought for their children to help them sleep. Having this on means we don’t have to tiptoe around the house plus it is handy enough to take to grandmas. We recently had a holiday on the Gold Coast & I am so glad that I packed it in our luggage. We put it in our apartment room & it helped block out the noise from the party goers in an adjacent highrise, phew! Also great service from Sleep Buddy staff, thank you. I live in a unit block & I used to lay awake at night listening to the sounds of my neighbours playing music and making loud noises. I have honestly slept so much better since having my white noise machine. It’s creates just enough sound to help mask the unwanted noises of my neighbours. I like the fact that it is adjustable. I didn’t realise just how tired I was from having a broken nights sleep until I started getting an unbroken, peaceful nights sleep. 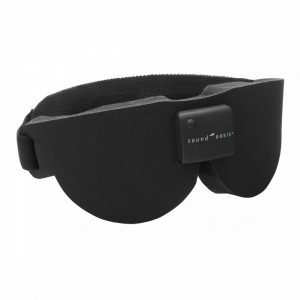 I would definitely recommend this to anyone wanting to block out noise to help them get to sleep! If you’re a light sleeper, buy this! 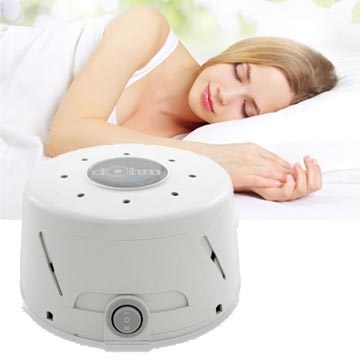 I used to wake often throughout the night from disturbances outside our house, since purchasing this white noise machine both my wife and I sleep so much better. Have had trouble with street noise and neighbour noise in a terrace in inner city Sydney and couldn’t afford the double doors on the balcony. The Dohm has given us a much sounder sleep, not waking to noise as much. Highly recommended as a calm, not-attrusive way to get a good night’s sleep. We purchased this machine for privacy reasons so that patients can not hear conversations from offices adjoining our waiting room. We have actually placed the white noise machine in the waiting room and are very happy with the results. We bought this for our 9 month old baby. He seems to be a light sleeper & if aroused after his first sleep cycle of approx. 30 mins there’s no getting him back to sleep. We have tried many different things, including music, white noise played on our iPhones and a fan with the fan seeming to get the best results. However we’ve found the fan is not ideal, as he often gets cold from it. There is no way we could use the fan in cooler months. Hence how we came upon the Dohm White Noise machine, which was recommended to us by a friend who used one with both her children. Hand on heart I have to say this has been the best purchase as bub now sleeps easily for 1½-3 hours through the day and much more at night. My only regret is that we did not come upon this sooner. The white noise it generates is very soothing, it is very similar to a box fan but a lot cheaper to run. Initially I was a little skeptical if such a small machine would be loud enough. It is definitely louder than I had expected without being to overbearing, the sound and pitch of noise are also adjustable. I am extremely happy with our Dohm & will definitely be using it from early days with bub number two. I recommend this to anyone wanting to help block noise (it creates a light ambient background noise) My husband and I are seriously considering getting one for our room too! I’ve always found white noise helpful for sleep. Normally I use a recording of surf/rain or the fan. 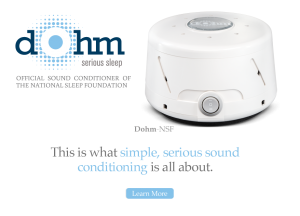 The Dohm provides another option for gentle “mechanical” white noise that is louder than the fan and which covers a wider frequency range. It works well and exactly as advertised. I was not expecting the Dohm to be very loud, as it’s a small unit with a mechanical sound source. I’ve noticed some people are disappointed with the volume but I have no complaints. A digital source through an amplifier may work better where the goal is to drown out external noise. I’m giving it four, rather than five stars only because of the unattractive “medical beige” colour. I wish that it came in other colours, especially black. I have recently purchaced the dohm white noise machine. I was previously uing a fan to help with sleep. I find the noise of the dohm relaxing and very good assistance for sleeping. Well worth the price. Good product. I have had sleeping problems for years, so it is a good help. I suffer from tinnitus (I have ringing in my ears) I only notice it when I go to sleep because it’s so quiet. The ringing really distracts me and I find it difficult to get to sleep. The machine takes my mind off it and blocks the ringing. I have it on my dresser at the far end of the bed. This is a great machine, just the right amount of noise, two levels for those extra noisy nights. blocks out snoring, possums, kids the lot. Love it! For the first time ever, Our dear son is falling to sleep on his own within 10 minutes every night. This has been happening for 2 weeks in a row since we started using the Dohm DS. Best sleep aide EVER!!! ( and we have tried many things over the years!) I recommend it to any parents with an ASD child who has sensory issues. My hubby was skeptical as it was so much money. I suggest you try a fan in the room first, if that white noise settles your child then this is the product for you. The product was delivered promptly and was as described. It has worked very well in masking general background noises and I’m sleeping much better. I only reduced stars because I would prefer it if there was some sort of volume control on the product so I could customise it to the lowest level that will mask sound but not intrude for me. I would definitely recommend this to anyone who finds the background noise of a fan in Summer helps them sleep. I mainly purchased this white noise machine after reading it helps babies sleep a bit longer. It seems to be working well so far! The noise it makes is sort of like a fan and rain on a tin roof combined. It’s a nice constant noise and definitely makes falling asleep and staying asleep easier. Love this machine – I purchased it for my 8 month old baby & have found it really helps with his sleep. Wish it was a tiny bit louder – would have given it 5 stars if it was. Would highly recommend this sound machine! Very happy with this purchase. It does what it says it does. At first when you hear the white noise you don’t expect it to help but it really does a great job of blocking out other noise and helps you to get some rest. The item was sent promptly and received quickly. Much appreciated. I have purchased three of these units they are so good. 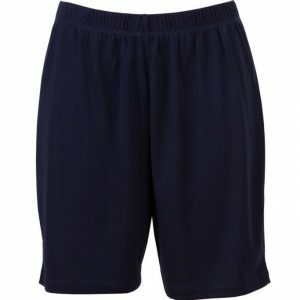 I highly recommend them for a good night sleep. My daughter uses one for my grandson to help block out background noise as they live on a noisy street. They are more effective than other white noise machines I have used! I work at home as a writer and have a chronic illness; peace and restful sleep are vital!!! In the past I’ve been using a floor fan and an extractor fan in the kitchen at home to block unwanted noise and have found them very helpful. I’ve recently experienced your white noise machine in our office and I am so glad that I did as I have now bought one for myself for home and it is wonderful! Thank you. For the 1st time ever, our son is falling to sleep on his own within 10 mins every night. This has been happening for 2 weeks in a row since we started using the Dohm DS. Best sleep aide EVER!!! (we have tried many things over the years!) I recommend it to any parents with an ASD child who has sensory issues. Thank you for your great customer service Sleep Buddy. We recently bought a new home which unfortunately is below a flight path. We don’t really notice the noise through the day but at night my wife and I wake when a plane flies over. Since we’ve had the white noise machine on we both sleep through the noise. Such a godsend! This makes a really soothing sound that covers up general household/ street background noise which had previously disturbed my baby’s sleep. It is compact and unobtrusive-ideal for the nursery. We unfortunately live next door to a young man who plays in a band and who practices at all times of the day and night in his garage. This machine is just what we needed to help mask the music sessions that come from next door. I have suffered from insomnia for years and my Doctor recommended I try white noise and passed on a link to this website after having success with other patients. I honestly didn’t think it would works as I feel like I’ve tried everything. I’ve now used it for almost one month and have stopped taking sleeping pills. I still wake though the night but definitely not as much as usual and I don’t feel as spaced out the next day. I’m a convert! Such a simple but effective device to help sleep through noisy night/roadworks. The best thing is it can be plugged into a power source and run all night so if you wake up in the middle of the night it is still on and helps put you back to sleep again. Dual speed is also useful when you don’t need to block out such loud noises. Would be nice if it was a little smaller in size, but a great device nonetheless. From someone who has slept with a fan for most of her life this is a absolute gem. It creates wonderfully adaptable white noise without any air movement, especially handy during the cooler winter months, and great volume that doesn’t drive my hubby crazy. I purchased this product to assist with daytime outside traffic noise. As I live on a very, very busy main road, and not with assisting me with sleep. I’d been using a fan, as I moved here at the beginning of summer. But now that it’s becoming cooler, it was making my living area very cold. So, I needed something other then a cooling device. Well, this little unit works, as it muffles out most of the incessant traffic sounds. In fact enough, that I’m not disturb by it. Plus, the inside temperature remains pleasant, because it only makes the sound of a fan, and not the wind force. Please note, I also have triple glaze glass, which is fortunate, as the rush of vehicles is huge. Re using it to assist with getting sleep, it’s not loud enough for me, but as I shared above, it was never intended to help me with this. I run a massage business from a room in a physiotherapy clinic. The noise from the surrounding treatment rooms and waiting room is not at all conducive to a relaxed atmosphere in my treatment room, even with music on. I had to have my music up so loud to drown out the interruptions that that was creating a problem in itself. I noticed quite a fall in business and my clients were not rebooking because of this. in now have the white noise unit and soft music playing together and my clients are relaxed and happy again. I’d recommend this product to others in similar situations. I purchased the White Noise machine for my new acupuncture clinic in Petersham – we were concerned by the traffic noise and noise from one treatment room to the other. We use the White Noise machine in between the clinic rooms and it has worked an absolute treat – patients are very happy with the reduction in noise since we purchased your product. I used to download aps on my phone to get to sleep and a neighbour/friend recommended I try this machine. It’s so much better than using my phone and has a much clearer less obtrusive sound. It’s great, give it a try. I bought this as a last attempt before my wife was about to make me move to the spare bedroom to sleep at night. I snore (apparently quite loud) and my wife can’t sleep at night. She wears earplugs but this still is not enough. I spoke with Tammy from Sleep Buddy and she suggested we try the white noise machine. I am still in our bedroom sleeping next to my wife. I would recommend this machine to anyone else in the same situation. I use earplugs but have never found any that seem to block enough sound to block out my husbands snoring. I’ve continued to persist and feel that the earplugs are better than not at all. I recently spoke to Tammy at Ear Store who was very helpful and explained how earplugs work and that there is nothing that will block all noise. She suggested I try the white noise machine in conjunction with my earplugs & voila… we’re onto a winner. I believe that my white noise machine and earplugs do block everything out! I can’t believe how well I’m now sleeping and how poorly I’ve slept for so many years. She also sent me some samples of different earplugs to try and I love the Macks Originals. I live in a unit block and the gentleman who lives above me works shiftwork. When I am asleep, he is awake. When he gets ready for work each night the noise above is horrendous and wakes me. I hear every footstep and him moving around in his kitchen. I then find it so difficult to get back to sleep. A neighbour recommended this exact machine that they purchased from Sleep Buddy a few years ago, I am so grateful and have not looked back. I have trouble sleeping due to a snoring husband and developed insomnia as a result. I purchased the sleep dohm because it produced a continuous white noise unlike a previous machine that had several sounds but they were on a loop which is in itself annoying as you can hear the gap when the loop starts again. With the Sleep Buddy there is no gap just a continual soothing sound. It took me only one night to get used to the sound and by the second night I was sleeping much better. My husband is getting treatment for his snoring but this machine has certainly helped me get a better nights sleep. I would recommend this machine to anyone who needs to block out noise and be soothed to sleep. My wife and I have just moved into a retirement home and could hear people talking when they walk down the corridor. This machine has definitely helped block the sounds of their voices. 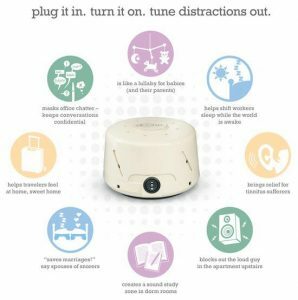 I read lots of reviews before purchasing this white noise machine and I can happily agree with all of the positive votes! This is a great product! If I forget to put it for my babys sleeps, he is sure to wake without resettling. I wish I had found these machines earlier when we had our first child. Thanks for your awesome customer service also Sleep Buddy, Tammy was so lovely & a great help! My 2 daughters share a room and my youngest always wakes (early!) before my eldest and invariably she wakes her sister even opening the bedroom door to come out into the lounge-room. Since buying this white noise machine my eldest sleeps another hour past her sister every morning! My youngest has started sleeping later of a morning also, not every day but we’re getting there. I highly recommend this product for people with children who wake early. I have been using this machine for over 10 years and have only just replaced it with a new model recently. Sturdy construction gives this machine s long life and it is very effective I’m keeping out background noise. I cannot sleep without it now! Highly recommended!